Kate Chase Sprague was born in 1840 in Cincinnati, Ohio, the second daughter to the second wife of a devout but ambitious lawyer. Her father, Salmon P. Chase, rose to prominence in the antebellum years and was appointed secretary of the treasury in Abraham Lincoln' s cabinet, while aspiring to even greater heights. Beautiful, intelligent, regal, and entrancing, young Kate Chase stepped into the role of establishing her thrice-widowed father in Washington society and as a future presidential candidate. Her efforts were successful enough that The Washington Star declared her ' the most brilliant woman of her day. None outshone her.' None, that is, but Mary Todd Lincoln. Though Mrs. Lincoln and her young rival held much in common-- political acumen, love of country, and a resolute determination to help the men they loved achieve greatness-- they could never be friends, for the success of one could come only at the expense of the other. When Kate Chase married William Sprague, the wealthy young governor of Rhode Island, it was widely regarded as the pinnacle of Washington society weddings. President Lincoln was in attendance. The First Lady was not. 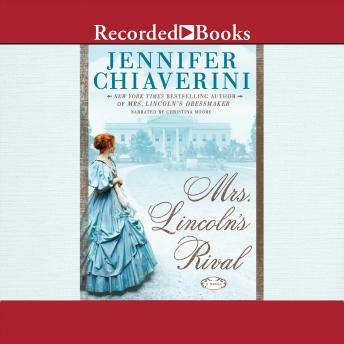 Jennifer Chiaverini excels at chronicling the lives of extraordinary yet littleknown women through historical fiction. What she did for Elizabeth Keckley in Mrs. Lincoln' s Dressmaker and for Elizabeth Van Lew in The Spymistress she does for Kate Chase Sprague in Mrs. Lincoln' s Rival.